Blame may play an important role for your spouse. Because of that, he or she will be reluctant to give it up, even if it is damaging your marriage. If you can get past your own defensive reaction and take a look at what blame is doing for your spouse, you will be on the path toward a blame-free and much improved marriage. How many symptoms of blame do you have in your marriage? 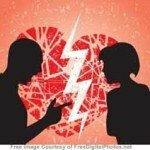 My spouse repeatedly blames me for our marriage problems. My spouse repeatedly blames me for his/her unhappiness. Both my spouse and I are dissatisfied with the marriage. My spouse won’t look at how he/she is contributing to our problems. My spouse blames me for the the way he/she thinks, talks, or behaves. Whenever I try to talk about our marriage with my spouse, I just end up getting blamed. When I am blamed by my spouse I tend to get frustrated and shut down. I often wonder if I really am to blame and why my spouse would want to stay with me. The more of these symptoms that are present, the bigger the role blame plays in your marriage problems. Sometimes talking about problems will help, but with a blamer it usually just ends in more conflict. It is important to recognize the best time to talk about marriage problems. It is also necessary to learn how to talk with a blamer in a way that leads to progress. This is covered in my book, Connecting through “Yes!” and an example is also provided in this article. 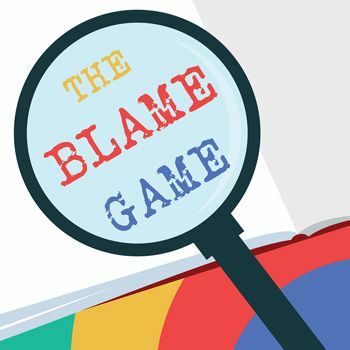 Why does your spouse blame you? The most basic purpose of blame is to avoid responsibility by making other people be at fault. If it’s your fault, then your spouse is not responsible to fix it. Your spouse is relieved of having to make any changes or issue any apologies. If you are both in debt and your spouse blames you, then he or she does not need to change any spending habits. If your spouse needs a job and blames that on a poor job market, he or she is relieved of having to look for a new job. Another benefit of blaming others is feeling better about ourselves. If the children are having problems, and you are to blame, then your spouse can still feel like a good parent. If the emotional connection is gone in your marriage and you are at fault, then your spouse can still feel like a good spouse. Your depressed spouse may blame you to protect himself or herself from feeling like a failure. The more insecure a person is, the greater is his or her need to blame others. Could this be something your spouse learned? If your spouse is blaming you, he or she may not know any better way of dealing with problems. It’s not so much that he (or she) needs to protect his self esteem as it is something that he learned to do–probably from his own parents when he was a child. Your spouse may have never seen conflict, finances, or other problems dealt with in a helpful and cooperative way. Sometimes people who blame stop and switch to saying nothing. When the blaming stops, you may mistakenly believe that your spouse has improved. However, he or she may have just reached the point of no longer caring. An affair, separation, or divorce may soon follow. So, if your partner is still blaming you, it means he or she still cares about the relationship. There is still a desire for the relationship to be better. The catch is, your spouse has put all the burden of improvement onto you. Unfortunately, blaming is not really effective in protecting your spouse’s self-esteem, solving problems, or improving your relationship. The reality of your spouse’s own responsibility comes back to him or her again and again. 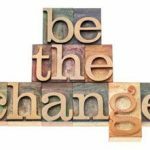 This should motivate your spouse to change, but if he or she doesn’t know how, it just leads to an escalation of frustration, anger, denial or blaming. It can even lead to emotional problems, physical problems, or drug or alcohol problems. 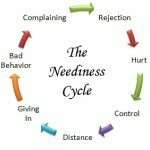 People who blame get to the point where their partners can’t stand to be blamed any longer.Or you feel very distant and rejected because of your spouse’s poor coping. Turning up the pressure on your spouse worsens the problem. Backing off just makes you codependent for the blame. It is easy to feel stuck and hopeless. You may get to the point where you just resolve to live in a disconnected relationship. Or you may make the decision to end your relationship to have a partner who can actually make you feel loved. It makes them afraid. Anything that threatens to put blame back onto the blamer will be shunned. Most people who blame are aware that they could be responsible for some of the problems, although they do a good job of denying that. But, in front of a counselor, those things are likely to come out into the open. Why people who blame sometimes want marital counseling. This is because they want the therapist to side with them in blaming their spouse. When the therapist refuses to take sides or points out that they both have contributed to problems, the blaming spouse terminates therapy and blames the therapist. A couple may go to two or three counselors with the result being that they quit before progress can be made, the therapist being blamed each time. 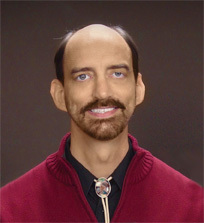 What to do if counseling doesn’t work or is refused. 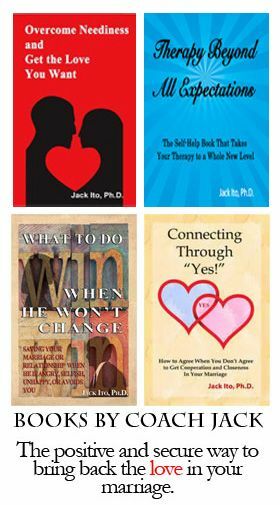 Your next best step is to get into relationship coaching without your spouse. The coach can help you to effectively deal with your spouse without making your relationship worse. Simply leaving the problems unresolved would be the worse choice. You probably already have damage in your relationship because of it. And, you can probably predict for yourself what will become of your relationship if things don’t change. The nice thing about spouses who blame is that they correctly identify the existence of problems. What I mean by that is that some spouses deny that problems exist at all. Denial of problems is a more primitive response than blame and harder to work with. With people in denial, they have to be convinced that a problem exists before improvements can be made. With people who blame, they are already aware of the existence of problems. Dealing with blame requires a multi-step approach. This is true for dealing with almost all serious problems. Finding an answer and trying it, then finding another answer and trying it, and so on may only make things worse. The answers you found and tried may have been good, but in the wrong order or used inconsistently. Like building a house, each of the steps involved is not difficult. Cutting, hammering in nails, and so on are each not so difficult. But you must do the right steps in the right order and not skip any. That’s where the guidance of a skilled coach is most useful. Because blaming is the best that your spouse knows how to do, directly trying to take away the blaming will cause more problems. You don’t want your partner to stop blaming only to become aggressively angry, depressed, or end the relationship, for example. It’s the one leg he (or she) has to stand on, so kicking it out from under your spouse is not going to help. And, if you succeed in getting your spouse to stop blaming you, but have no way to deal with the problems, your spouse will continue to mentally and silently blame you. Just as you can’t stop blaming by blaming back, you also won’t stop blaming by being passive. All that will get you is disrespect when what you need to do is to start building respect with your spouse. Spouses who blame a lot have little or no respect. You can start to earn respect by putting boundaries around any kind of verbal abuse. The boundaries will do nothing to threaten or harm your spouse, but will make his or her blaming self-defeating. There will no longer be any payoff in blaming you. Although boundaries do not damage a relationship, they will feel tough and unfair to your spouse. That will create more distance in your marriage if you don’t also increase your positive communication. There is a tendency for some people to emotionally withdraw when they are using boundaries, but that is ultimately self-defeating. It’s important to be a loving spouse who just won’t put up with disrespect. Being either all loving or overly submissive will get you disrespect; while being too tough will create distance. But, if you combine loving communication with good boundaries you will improve your relationship. After rebuilding respect, start to rebuild communication. 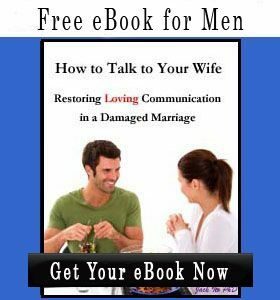 The goal of communication with a blaming spouse should be to get cooperation. Damage is stopped with the building of respect, but becoming close happens when people start working together. Once respect has been built, you can use your spouse’s blaming to start a more productive dialogue–not only solving your problems but also creating a little more closeness with your spouse. Each incident of blaming creates another opportunity for getting to cooperation and closeness. Your husband, Mr. Alwaysright, blames you for overspending. You have all the facts and figures to prove him wrong, but at best that will only shut him up until his next complaint. It’s a game you are tired of playing. So, instead of attempting to prove him wrong, you agree with him that the way you spend money is an important issue. Husband: (Sits down hesitantly. Doesn’t know what to expect or what to do. Continued blaming only gets your agreement and quickly takes the energy out of his anger). You: (Use a problem solving method to define the problem and come up with solutions together. After that, you both feel a little closer. Your husband feels good about himself because he was able to help you). In this example, you did not defend yourself, nor did you agree that you are out of control or spend too much. Instead, you used his blame as an opportunity for working together. By being more focused on the outcome of your discussion than on the blaming, you were able to start to help him learn a better way of working on problems. You would not have had that chance if you just defended yourself, shut up, or blamed back. (The skills used in this example can be found in the book, Connecting Through Yes! ). You are not stuck between two choices–whether to put up with the blaming or end the relationship. There are many things that you can do to rebuild respect, communication, love, attraction, and partnership in your marriage. These are part of the six steps for how to save a marriage. The right steps, and the right skills, can bring back the love in your marriage. Are you focused on proving who is right or wrong? Who is right and who is wrong ultimately is not the issue. The real issue is what you can do to increase the love and connection between you and your spouse. 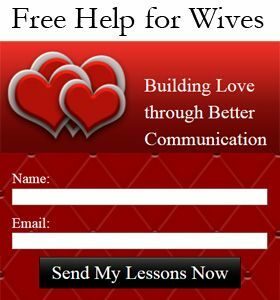 If you would like to work with me on a step by step approach to end your spouse’s blaming, you can sign up for the Restoring Love with Difficult Spouses coaching package.